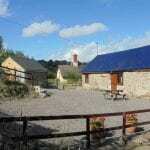 Camping Barns in England : Family and Group accommodation on Exmoor, individuals welcome. A small family run farm in West Somerset, on the edge of Exmoor. Providing inexpensive basic accommodation, with an emphasis on a warm and dry place to stay after a day out in the locality. 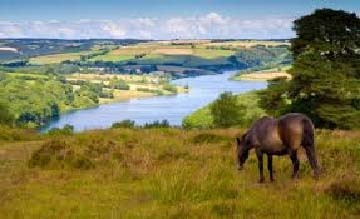 So if you're looking to have a day hiking on Exmoor, or training for an event, or just spending time in the countryside this could be the place for you. The Hay Barn, is a dormitory style open plan barn with bunks, two bathrooms with showers, a kitchen and seating area for up to 12 people, more by prior arrangement. It is centrally heated, with hot and cold running water at no extra charge. The Cart Shed is more of an open plan chalet with a kitchen, bathroom with shower, seating area and bunks for four people, if you require extra beds for this barn there is a sofa bed (double). Also centrally heated with hot and cold running water. You will need to bring everything as if you were camping, mattresses are provided but no pillows This accommodation is featured on our map of Devon, Cornwall and the West Country and here is its own website. £20pp. Sole use: The Hay barn £200. The Cart Shed £75. Don't use Sat Nav. From B3190 Raleigh's Cross to Bampton road at crossroads take turning for Huish Champflower and Wiveliscombe, Chitcombe is the second left about three hundred yards from cross roads. Chitcombe is down a steep bumpy lane, about half a mile. This accommodation is in a National Park, is available to individuals and is on the The Land's End Trail & Mary Michael Pilgrim's Way Map and the The Dartmoor National Park & Exmoor National Park map. With lakeside walks, cycle route and all kinds of water sports and outdoor activities, somerset is your oyster. Chitcombe Farm Camping Barns are ten minutes drive from Wimbleball lake, were you can partake in all kinds of water sports and outdoor activities. There is a 9-mile round Lake circular walk on footpaths and a cycle route which takes you around the lake, following mostly bridleways and some quiet country lanes. The cycle route passes through woodland and grassland, with tantalising glimpses of the lake. The Outdoor + Active Centre on the lake has a cafe and play area with light lunches, drinks and snacks . They also provide tuition in sailing, windsurfing, canoeing and rowing. Visitors can launch their own craft or hire boats from the centre. There is also a variety of land based activities to choose from including climbing, high ropes, archery and trout fishing. Stay on a small working hill farm, in the heart of the Brendon Hills on the edge of Exmoor. Camping barns are often the next step up the ladder from camping. Camping with a few extras, with the onus on you to bring everything you need as if you were staying in a tent. We like to think our barns at Chitcombe Farm have that bit more with heating, hot and cold running water and kitted out kitchens. Ideal for an affordable family holiday or a night away for cyclists and walkers. Our camping barns (or perhaps they should be called bunkhouses) are ideal for groups and families. There are two self contained buildings one sleeping 12 and the other 4. They are situated on our small working hill farm, in the heart of the Brendon Hills on the edge of Exmoor national park. Rich in wildlife, the red deer and famous Exmoor ponies spring to mind, but I recall walking knee high through heather and clouds of butterflies springing up with each step. Magnificent. Exploring Exmoor will also reveal ancient sites, evidence of human habitation stretching back and back – nearby Tarr Steps for example is a lovely ancient bridge. 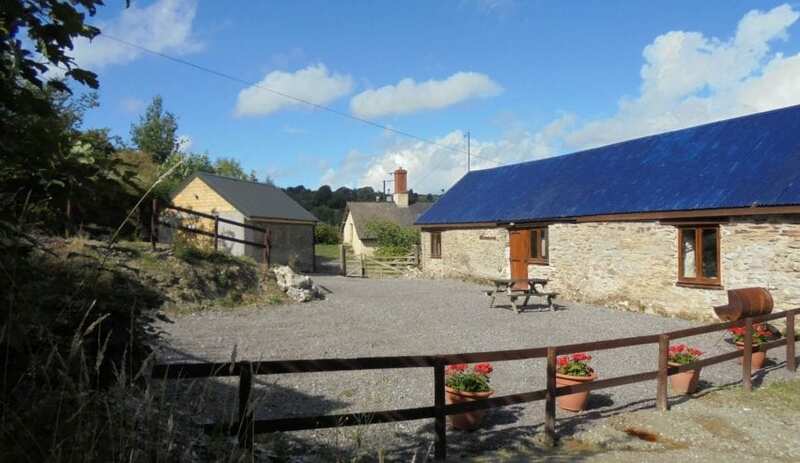 Chitcombe Farm is an ideal base for anyone taking part in the Ironman triathlon in June or the various triathlons and outdoor swimming events at Wimbleball Lake. Managed by the South west Lakes Trust.